Welcome to QCA’s Resources area. Here you will find leaflets and briefings to take to your Meetings, distribute to Friends, or use generally in your own campaigning. If you have a suggestion for a new leaflet/briefing or would like to receive printed materials in bulk, please get in touch via our Contact Us page. 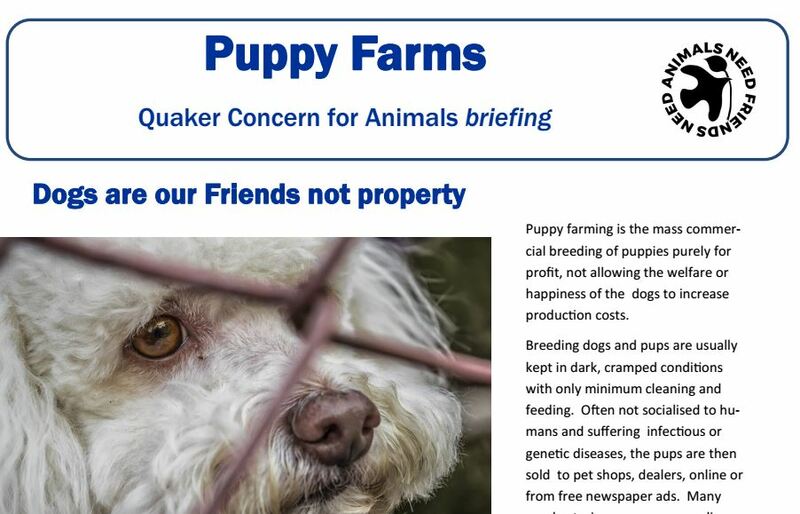 January 2019: the growth in online sales channels, the increasing demand for designer dogs and a lack of public awareness are three of the factors that have led to a crisis in dog welfare. It is estimated that approximately 400,000 of the dogs sold in Britain each year are the ‘products’ of what amounts to battery farming. 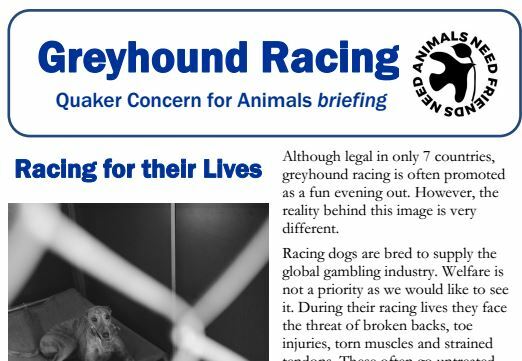 September 2018: The Greyhound Board of Great Britain’s own statistics confirmed 1000+ fatalities in 2017, a quarter of these being trackside deaths. Should a just and compassionate society countenance such callousness and waste, for the sake of gambling profits and entertainment? 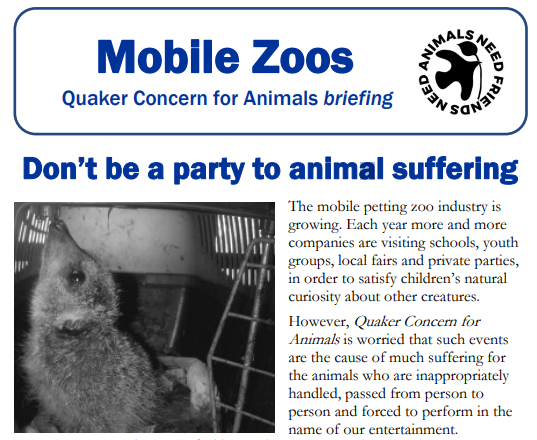 April 2018: The mobile petting zoo industry is growing. Each year more and more companies are visiting schools, youth groups, local fairs and private parties. 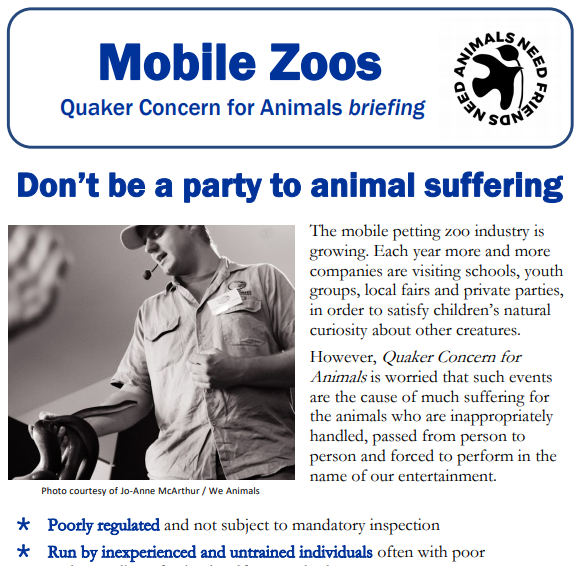 Such events cause suffering for the animals who are inappropriately handled, passed from person to person and forced to perform in the name of our entertainment. 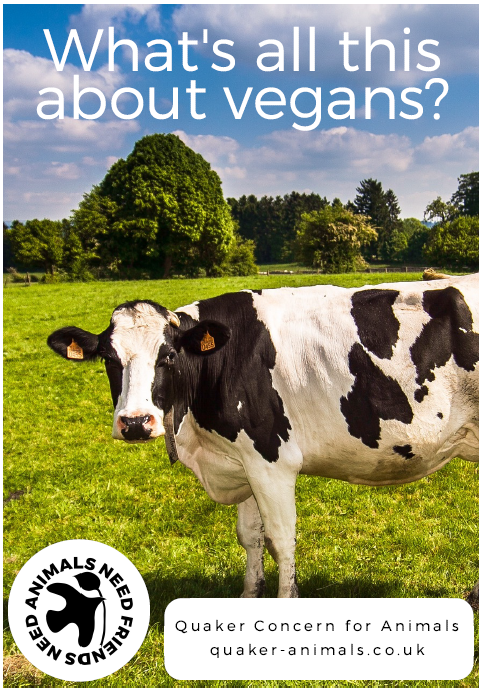 What is veganism? Why go vegan? How do I get started? Who are QCA?